where the sky’s not cloudy all day? she is gone longer than she was here. in a flag draped box. Well those of you who waste your precious time reading my blog know I was in New York for my Aunt’s funeral. I returned on a flight on Wednesday. There is no better place to get sick than on a plane! Having flown a great deal, I know! Sure enough, by Thursday night I had a hacking dry cough, stuffy nose, was nauseous and felt like I had been run over by a truck. Beginning to feel better today. At least I can see the keyboard!! Feel free to offer sacrifice to the Gods for my recovery. 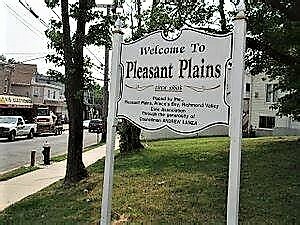 There is a town on Staten Island, New York known as Pleasant Plains, located in the far reaches of the South Shore. 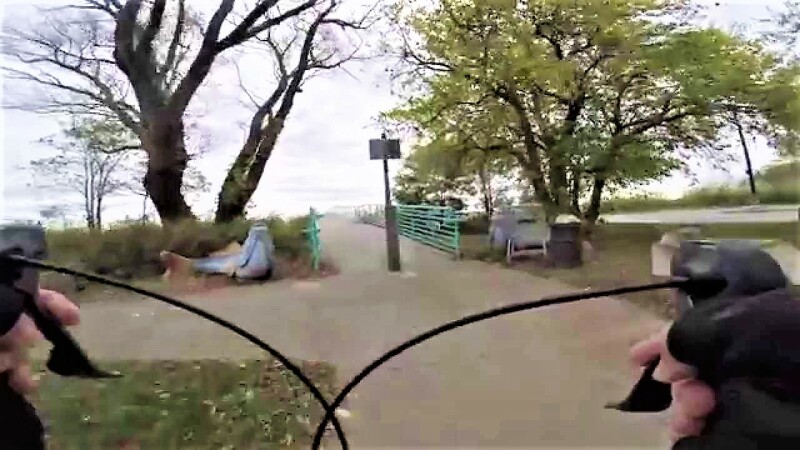 A few miles from the southern most point of New York state and only a short boat ride from Perth Amboy, New Jersey, it was the paradise of my twenties and my early married life. My wife JoAnn and I bought our first home in Pleasant Plains, a three bedroom fully detached house, as I was leaving the military in 1967. It cost us $24,500; we had saved up the ten percent down payment while I was in the service; she had worked and I sent allotment checks. We couldn’t furnish the entire place initially but we had a nice bedroom, a dining area and a television. The rest would come later. We drove to the ferry each morning in my 1968 3 cylinder Saab. Our house was a block off of Sharrott Avenue. Each morning and evening she and I, aged 25 and 23 would drive Sharrott Avenue to Hylan Boulevard on our way to the ferry. Occasionally we would take the Staten Island Railroad; there was an elevated station at Pleasant Plains. On one side of Sharrott Avenue there was woods; there were lots of woods on Staten Island 50 plus years ago. On the other side there was the land of Mount Loretto; a Catholic orphanage founded in 1883 by John C. Drumgoole, an Irish Catholic priest. Mount Loretto, an orphanage and vocational school for boys in a then-rural section of Staten Island later grew into a large complex that housed and educated thousands of boys and girls in more than a century of existence. As an aside, I have not heard of one child from Mount Loretto ever accuse anyone of abuse or mistreatment. Many a night my young bride and I would walk the vast fields of Mount Loretto; it was a place on a summer night one could see the stars bright in the heavens, far away from the bright lights in the city. And yet we were in the city. We had been married 4 years by then, separated for a good portion of the time while I served in Eritrea. We had survived the separation – without smart phones, Facebook or social media. And now we were free and together. It was still years before Danny and his loss; years before Michael and his loss. It was more than a decade until our daughters. We would walk those fields, lay down on a blanket, kiss and make love in the moonlight. “Mt. Loretto Unique Area provides nature lovers with more than 200 acres of forest, grasslands, wetlands, and coastal shoreline on the southern shore of Staten Island. 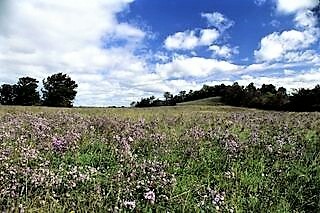 These habitats make it a beautiful area to hike and one of the best places to spot migrating birds in the area. The Old church was destroyed in a serious fire in 1973 leaving only the façade. 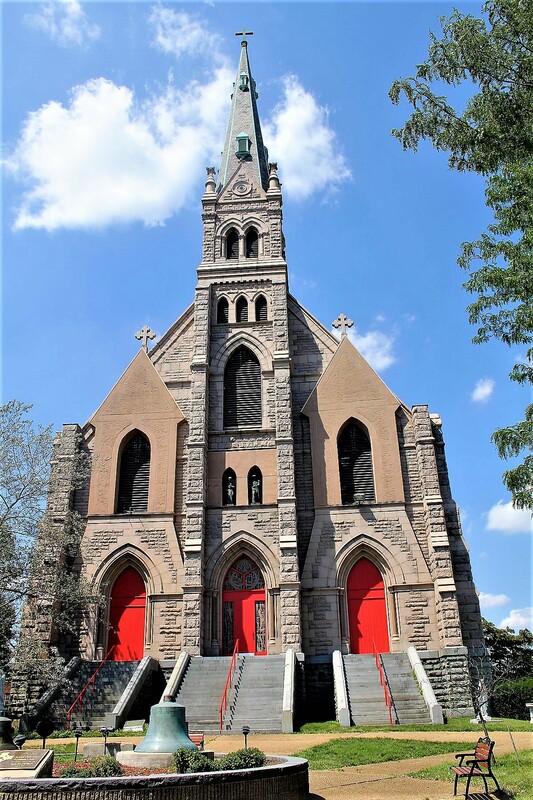 It was completely rebuilt by the Archdiocese, incorporating the façade into the new building. The remainder of the land, the land on which my bride and I once loved, was turned into a cemetery. This week I walked those fields again to bury my Aunt, my mother’s baby sister. She was a religious woman. The funeral was what she would have wanted. A Mass of Christian burial, her casket brought into the church. A priest at the gravesite for final prayers, a flower for each of us to place on her coffin before lowering into the ground. I trod those fields where my wife and I stared at stars planning a future; we owned our own home, both of us had good jobs, the military was out of the way and our future looked bright. We were the envy of all of our friends. Those fields are now graves for my family. My Aunt, her husband, her son and another cousin are all buried there -Resurrection Cemetery. Not far away her daughter and her husband are buried. Pleasant Plains is now bustling with funeral corteges. The family business, Scaran Oil is still headquartered there. My Uncle Vito went out to Pleasant Plains in the 1930s to found his retail fuel oil business in the height of the depression. My cousins, his grandchildren still run it; thriving and now one of the largest retails fuel oil businesses in the northeast. Our first house is now valued at three quarters of a million dollars; thus the disappearance of the American dream of two kids. I walked the land where we had once lain half a century ago – now it is a cemetery. This poem appeared today on Rachel McAlpine’s blog – quite fitting for me. We are flying to a funeral. as old people can be. and strong and funny and old. that forged a remarkable woman. She was loved and she was needed. than a blue, blue coffin. 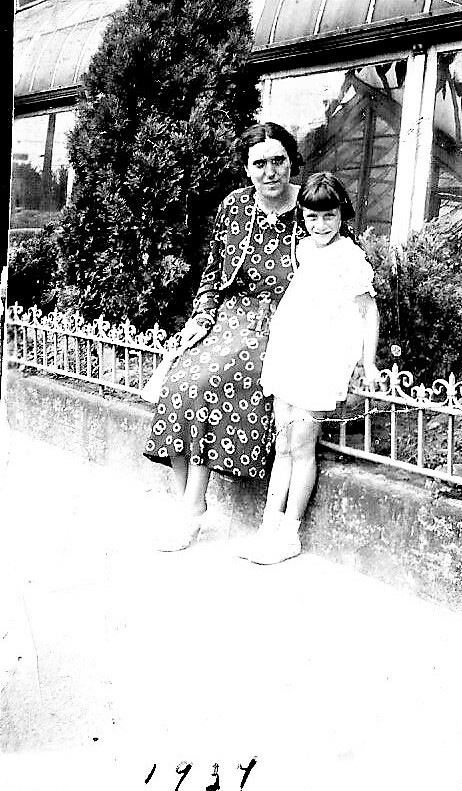 My Aunt Tina in 1937 with her foster mom. She was my mother’s younger sister, both placed in state care upon the death of their mother. My mom went to an orphanage run by Benedictine nuns in upper Manhattan. Tina went into a foster home with a family that really cared for her. So far it has not been a very good 2019. My brother-in-law passed away in January. Yesterday I learned that my Aunt Tina (her real name was Concetta, but no one ever called her that) passed last Monday. Our family will be gathering in New York to bury her. I am leaving this weekend and will be gone for a number of days. 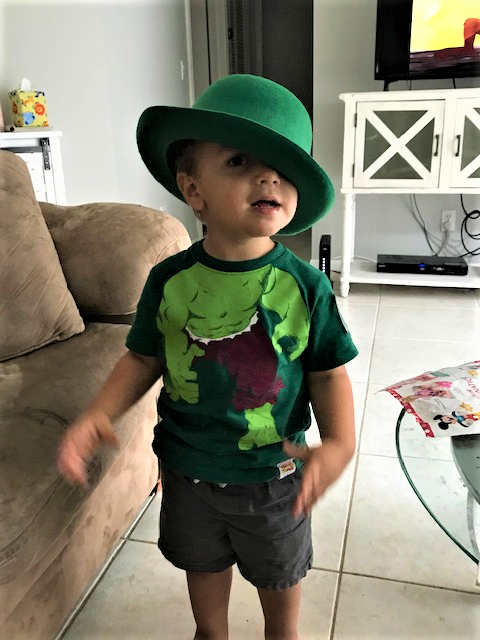 Everyone’s Irish today Clark! Nice hat! This week there was a mass murder, American style, in of all places Christchurch New Zealand committed by an Australian. Fifty Muslim worshippers were slaughtered at Friday prayers, all of the carnage posted live over Facebok. It was murder for the internet accompanied by a “manifesto” for trolls. The “white supremacist” killer wasn’t concerned about saving New Zealand for white people; it was meant for others sitting in their basements in front of their computer screens. New Zealand, with a total population of maybe five million has perhaps 2,500 Muslim refugees. That’s like .0005%, Not exactly a threat. No. The murders were meant to incite others to mass murder. Here in America open hostility to immigrants has grown substantially since the election of our illustrious President. The situation at our southern border is a “National Emergency” as we are being “invaded” by “criminals, drug dealers, rapists and traffickers.” Most of the immgrants I see are grass cutters, roofers, tomato pickers or cleaning guest rooms in Vegas hotels – all jobs Americans won’t do at the wage levels they are paid. But hostility against immigrants, the “other,” is as American as apple pie. Once upon a time, we Italians were the other” and I’m sure in certain enclaves out there, we still are. 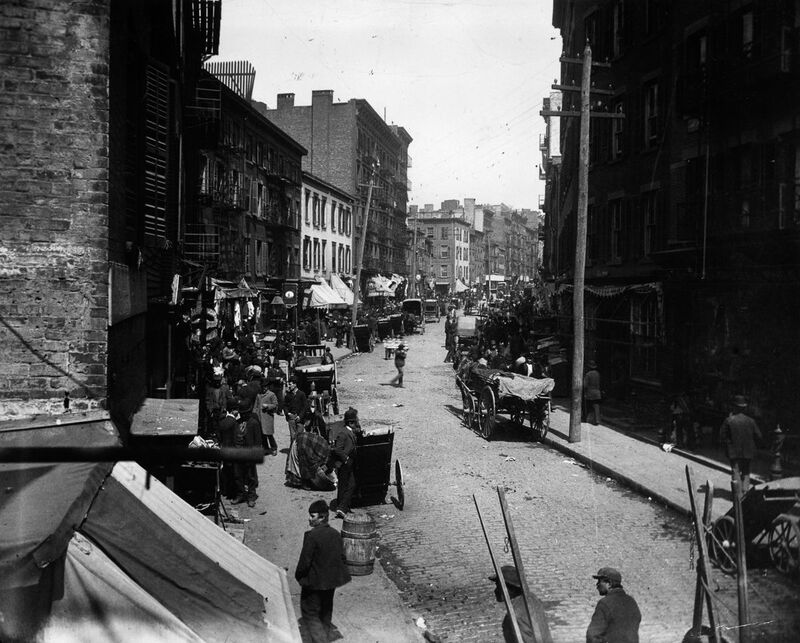 Prior to 1880 there were few Italians in America. The waves that were to come (my grandparents arrived in 1906) aroused the anti-Catholic tradition that existed in the United States, inherited from Protestant/Catholic European wars over centuries. When the United States was founded, it inherited the anti-Catholic, anti-papal attitudes of its original Protestant settlers. Pilgrims weren’t exactly the most tolerant folk. Some of the early 20th-century Italian immigrants brought with them a political disposition toward socialism and anarchism. 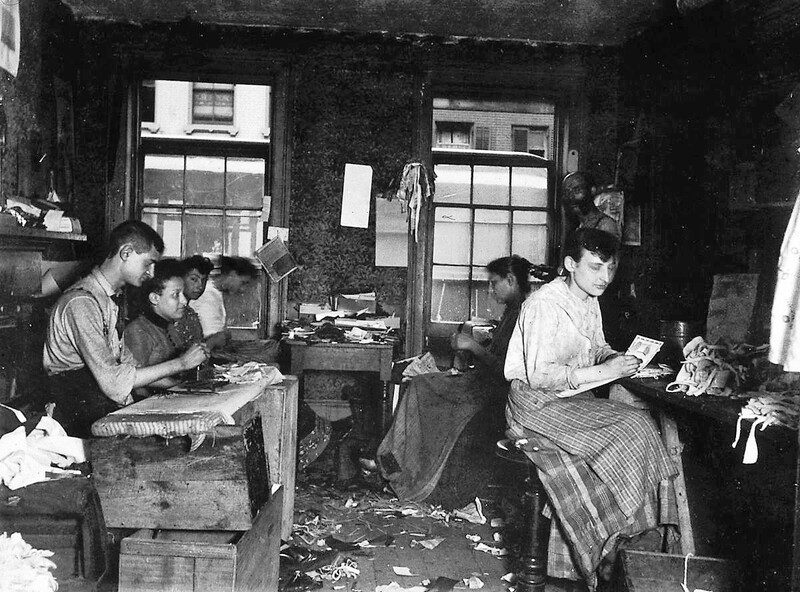 Men like Arturo Giovannitti, Carlo Tresca, and Joe Ettor were in the forefront of organizing Italian and other immigrant laborers in demanding better working conditions and shorter working hours in the mining, textile, garment, construction and other industries. These efforts often resulted in strikes, which sometimes erupted into violence between the strikers, company goons and the police. So what did solid genuine Americans think of us? You can see some of the comments above referring to the mass lynching of Sicilians in New Orleans. One of the largest mass lynchings in American history was of eleven Italians in New Orleans, Louisiana, in 1891. 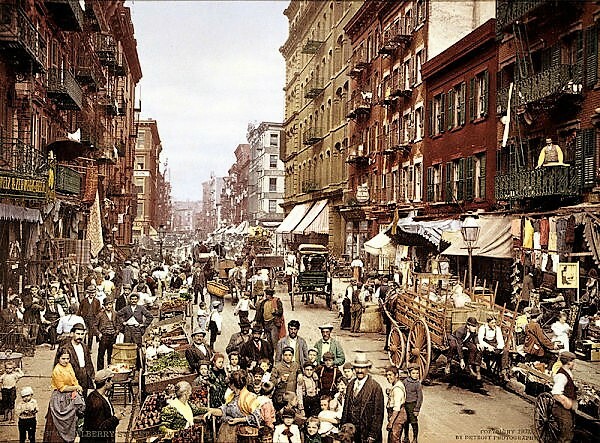 The city had been the destination for numerous Italian immigrants. Nineteen Italians who were “thought” to have assassinated police chief David Hennessy were arrested and held in the Parish Prison. Nine were tried, resulting in six acquittals and three mistrials. The next day, a mob stormed the prison and killed eleven men, none of whom had been convicted, and some of whom had not been tried. 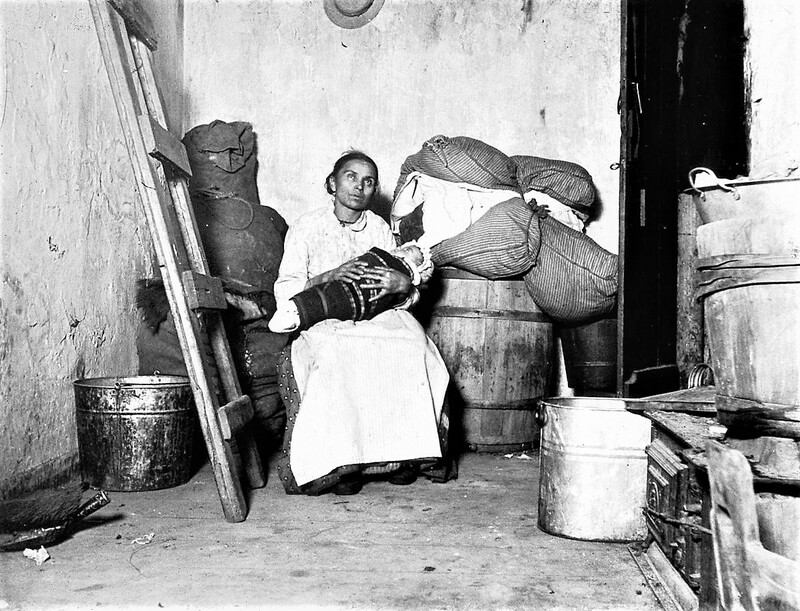 Afterward, the police arrested hundreds of Italian immigrants, on the false pretext that they were all criminals. The New York Times in an editorial chimed in that the po folk of New Orleans had little choice but lynching. In 1899, in Tallulah, Louisiana, three Italian-American shopkeepers were lynched because they had treated blacks in their shops the same as whites. A vigilante mob hanged five Italian Americans: the three shopkeepers and two bystanders. I won’t bother going into Sacco and Vanzetti. Anti-Italianism was part of the anti-immigrant, anti-Catholic ideology of the revived Ku Klux Klan (KKK) after 1915; the white supremacist and nativists targeted Italians and other foreign Roman Catholics, seeking to preserve the supposed dominance of Anglo-Saxon Protestants. During the early 20th century, the KKK became active in northern and midwestern cities, where social change had been rapid due to immigration and industrialization. It was not limited to the South. It wasat its strongest in Indiana, home of our Vice President. It reached a peak of membership and influence in 1925. A hotbed of anti-Italian KKK activity developed in Southern New Jersey (of all places!) in the mid-1920s. In 1933, there was a mass protest against Italian immigrants in Vineland, New Jersey, where Italians made up 20% of the city population. In response to the increasing nativist demands that the United States maintain its ethnic homogeneity Congress passed the Immigration Act of 1924, excluding all immigrants from Asia and setting a quota of 2% ot the ethnic population of the U.S as recorded in 1890 for all immigrants from outside the western hemisphere. As a result, populations poorly represented in 1890 were prevented from immigrating in numbers—especially affecting Italians, Jews, Greeks, Poles, and Slavs – while northern European protestants were favored. Of course in the media we are always criminals, mob bosses or ignorant guidos. The entertainment media has stereotyped the Italian American community as tolerant of violent, sociopathic gangsters. 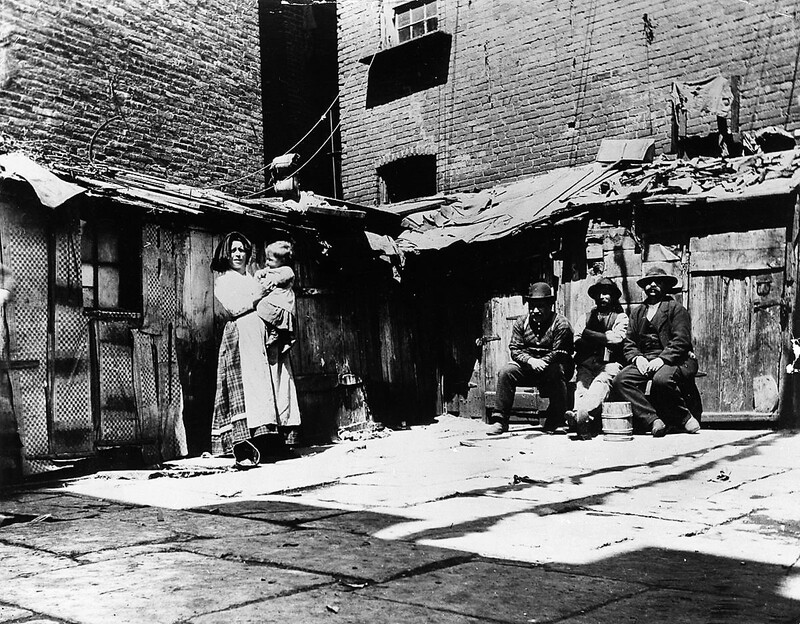 Other stereotypes portray Italian Americans as overly aggressive and prone to violence. A study by the Italic Institute of America conducted between 1997 and 2001 revealed the extent of stereotyping in media. More than two-thirds of the 2,000 films assessed in the study portray Italian Americans in a negative light. Nearly 300 films featuring Italian Americans as mobsters have been produced since The Godfather (1972), an average of nine per year. Yet according to recent FBI statistics, Italian-American organized crime members and associates number approximately 3,000. Given an Italian-American population estimated to be approximately 18 million, th. e study concludes that only one in 6,000 has any involvement with organized crime. During the war many of us were interned; Joe DiMaggio’s father was banned from fishing or going anywhere near the California coast. He was such a danger to America. My paternal grandparents were registered as enemy aliens. 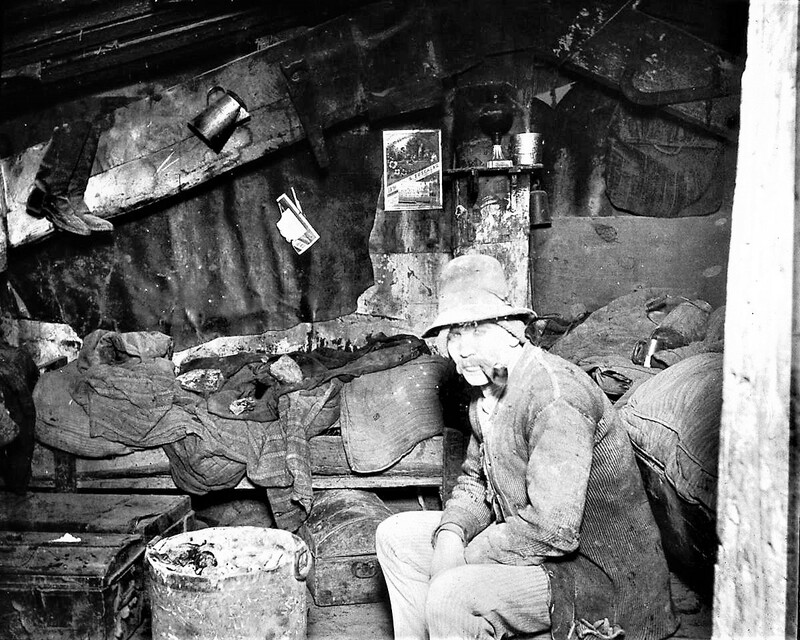 Unlike the Japanese, no reparations were paid to Italians who were interned in camps. We were the criminals, the violent, lawless, and treacherous of 1900 who had to be kept out. Today 65% of Italian Americans are management, white collar or business owners. We had Mario Cuomo, Lee Iacocca and yes, Scalia and Alito. And Sinatra, Tony Bennett, Scorsese and DeNiro. A son in law of mine is of direct Hispanic origin. He speaks not a word of Spanish though his parents speak it fluently. 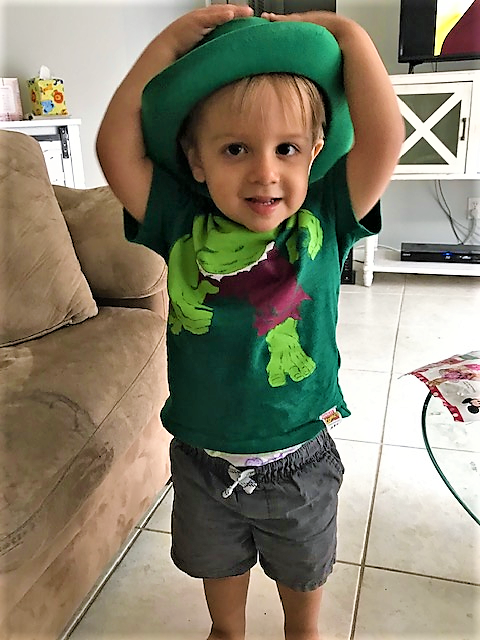 My wife’s mother wouldn’t pierce her daughter’s ears for earrings when she was a child; it was the mark of an Italian immigrant kid and my mother in law wanted her child to be an American kid. So no earrings. The girl I married forever wore clip-ons. 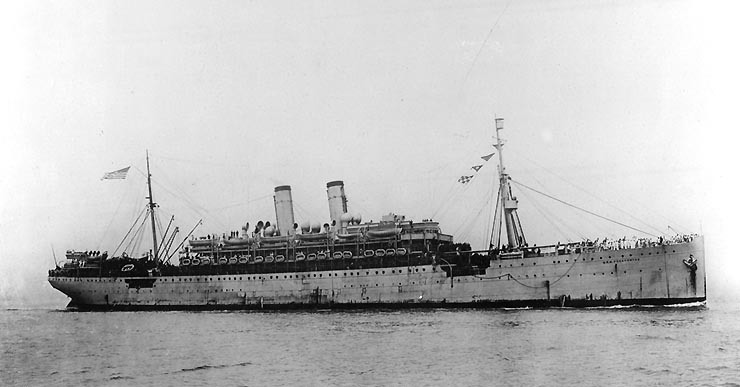 The “Prinzess Irene” – seized during WWI from German ownership by the navy and turned into the troop ship “Pocahontas” It was the ship on which my grandfather Francesco left Naples in 1906 with a wife and three children and never looked back. And finally if my personal observations of my family, friends and neighbors is correct, the grandchildren of these new immigrants will be much less religious or non-religious than those who arrived. They will keep the best of their old country culture and ditch the rest. So you see, we really aren’t going through anything new. People come here to build new lives for themselves and their children, who will grow up, serve in our military and contribute to what makes America “a shining city on a hill” as Ronald Reagan used to say. Things have changed a lot since the bicentennial of 1976.